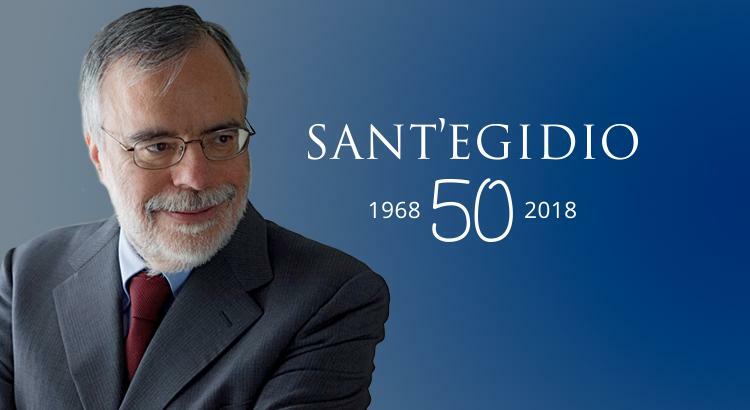 I am glad to present this new layout of the Community of Sant’Egidio’s website today, on 7th February 2018, its 50th anniversary. By navigating it, you will notice a number of novelties. First of all its new look: a complete overhaul with larger and clearer photos, accompanied by the logo, renovated in its style, yet retaining the same symbols that make it what it is: the dove, the olive branch, the rainbow from the Bible. The contents of the website are now more accessible, and it is all more integrated with social networks: Twitter, Facebook, Instagram.